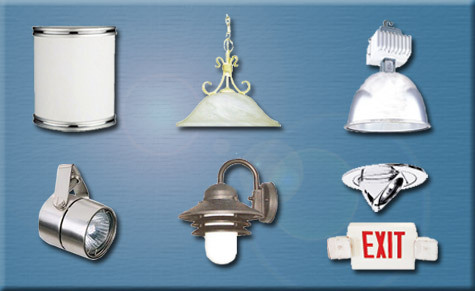 Since 1957, Meyer Lighting Products has provided a diversified assortment of lighting products to our customers throughout the United States, The Caribbean Islands, Central and South America. We are family owned and operated providing fast, reliable distribution of quality constructed items at affordable prices. Our friendly service and extensive product knowledge, help you get the right lighting products that meet your needs, while staying within your budget. Each member of our lighting team, both in the office and warehouse, take great care to enter and ship all orders quickly. Se habla español! We also represent various domestic and international lighting & fan manufacturers for South Florida, the Caribbean Islands and Central America. They have a wide variety of indoor and outdoor products readily available. We stock the most popular items from several of these lines...Our "Quick Ship Program" provides our customers with fast delivery, at little or no freight cost. Please Note: All items shown are for identification purposes only. We reserve the right to change suppliers; Therefore, designs may vary.